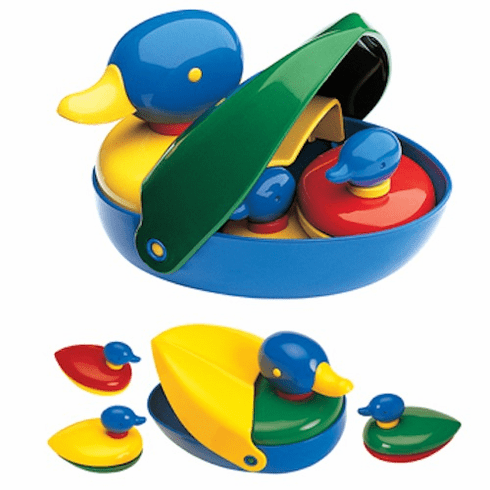 Turn your child's bathtime into playtime with the adorable Duck Family play set! The 18 cm long hard plastic mama duck has bold colors in yellow, green, blue and red. The back piece of the duck folds open to reveal three removable baby ducks.